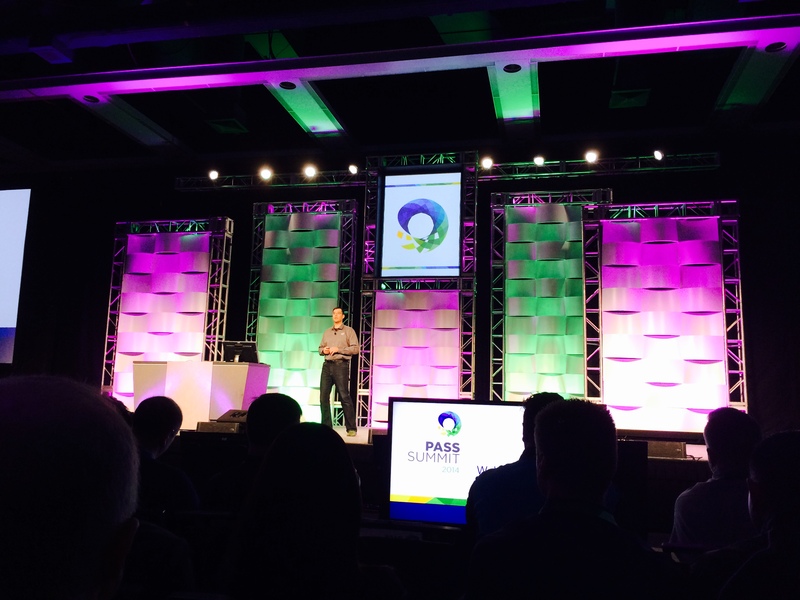 #SQLPASS #Summit14 Day 2 Keynote Highlights ! This was one of those days I was waiting to happen. You might be wondering whats special? Yes, this day is very special because Rimma Nehme will be giving a keynote on Cloud Databases 101. Rimma Nehme is one of those super smart people who works for Microsoft Gray Systems Lab along with the very special Dr David Dewit. 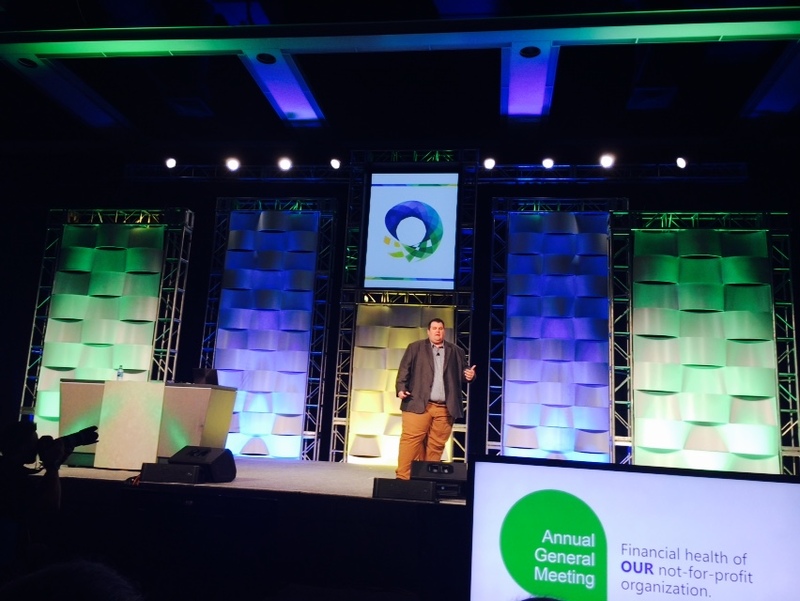 Day 2 started with a talk by Adam Jorgenson, PASS Exec Vice President of Finance. Adam started talking on how PASS operate, from where money comes and how it’s used? The key thing to note is that PASS is in good financial state with good amount of rainy day fund. 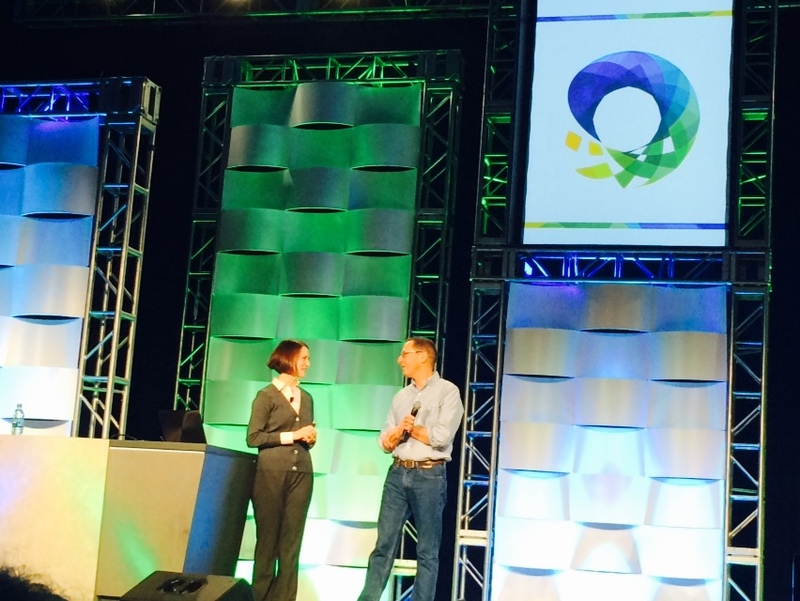 Thomas LaRock was back on stage on day 2, and he started talking by thanking outgoing board member Sri Sridharan. Kudos to Sri for all his efforts. He also introduced the new board member Grant Fritchey. Next up was Denise McInerney,VP Marketing and she talked about her experience of PASS and the career changing decisions she took. Denise mentioned how PASS changes people’s career. She thanked the volunteers for their hard work, and the winner of PASSion award was announced and the winner was Andrey Korshikov. 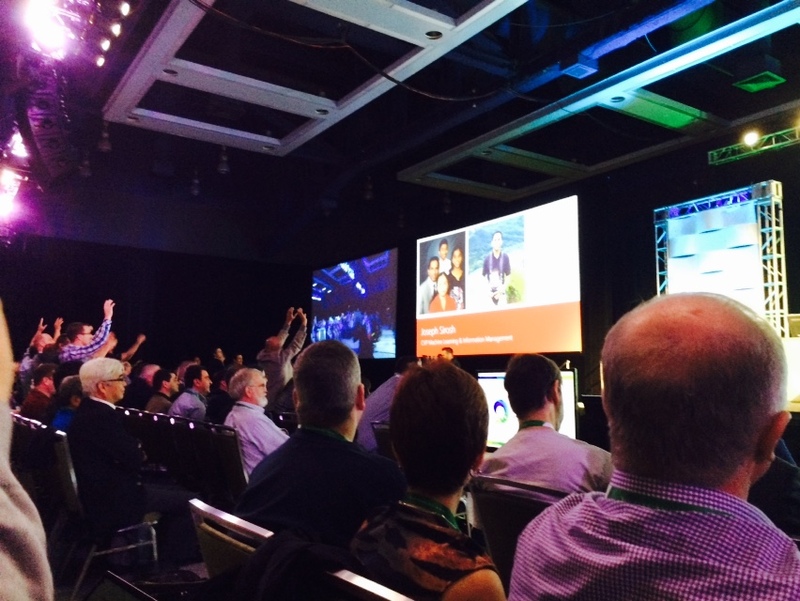 Denise confirmed that Summit will be back in Seattle Oct 27-30 2015, and that’s great news !!! 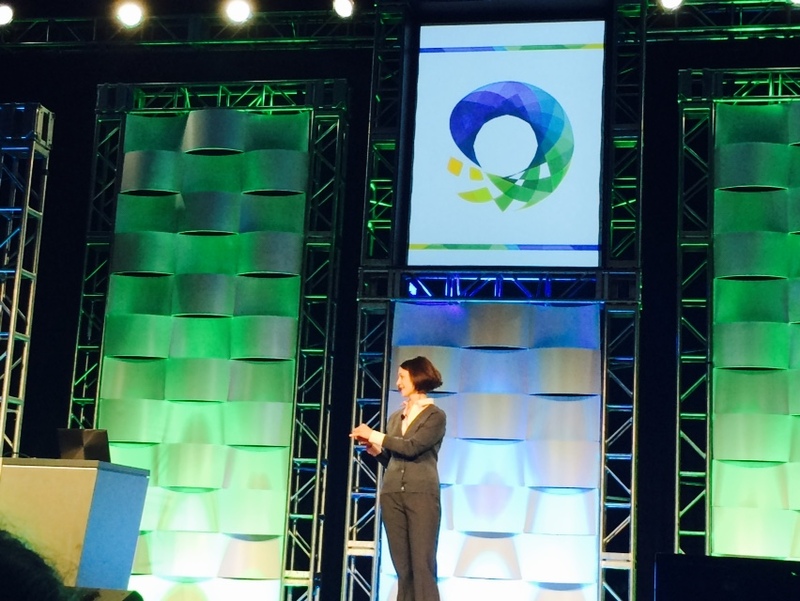 Crowd was eagerly waiting for the keynote to start and Denise requested Rimma to take over the stage. Rimma talked little about her and cracked some jokes about Dr. David Dewit. She added that she is a great fan of SQLServer/PASS community. What is a Cloud DB? What is my role as a DBA? When people like Dr. David Dewit or Rimma talk, they come with great simple slides with lot of information on them. They also tend to use real life analogy to explain things, which is really nice. Measured service pay per use. 1960’s (Super computers/Mainframe) ,1990(Sales force) ,2002(AWS), 2006(EC2), 2008 – present (Azure, Google Apps). 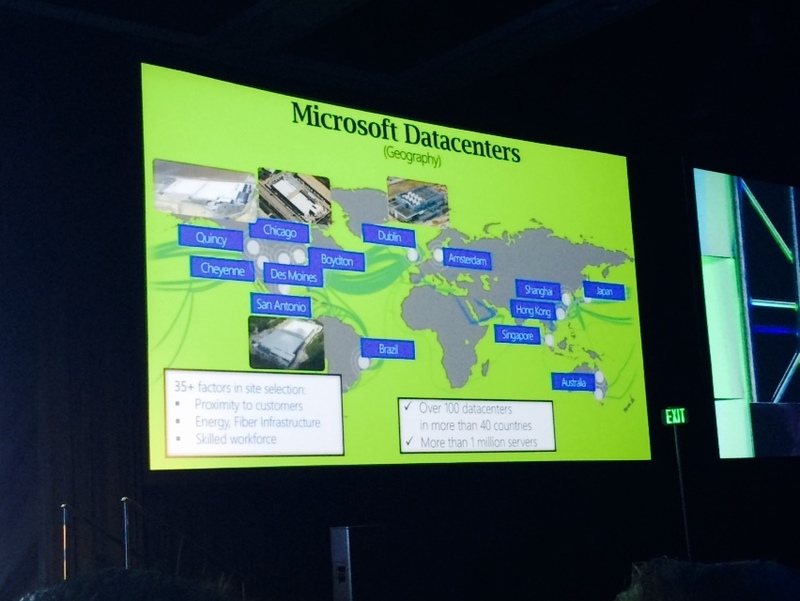 Where cloud lives: Data Centers(Of course ! ), and the move to the Next generation Data Centers. Total Facility Power / IT Equipment power. Traditional PUE 2.0 vs Modular PUE 1.15(cooling 0%). Over 100 DC in more than 40 countries, More than 1 Million Servers. Platform As a Service, Infrastructure As a Service ,Software As a Service. 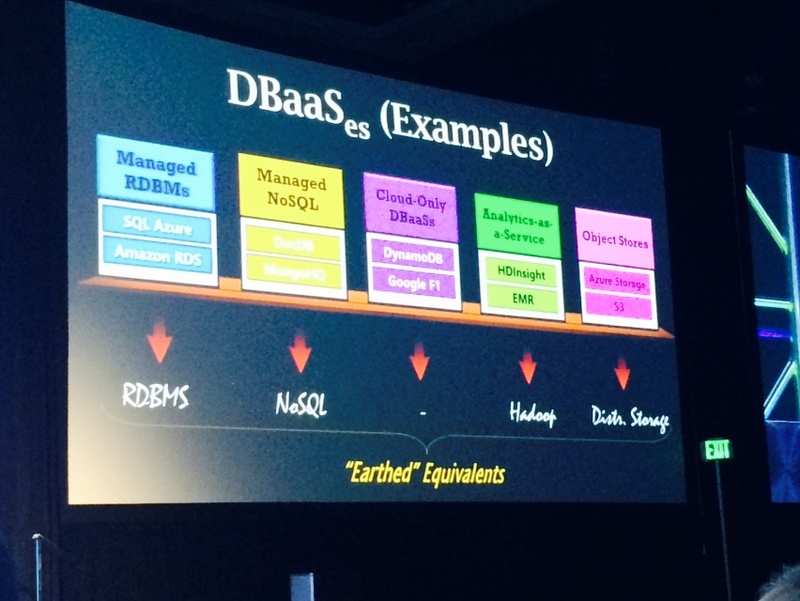 What kind of cloud databases are out there: We have Managed RDBMS, Managed No SQL, Cloud Only DBaaS. 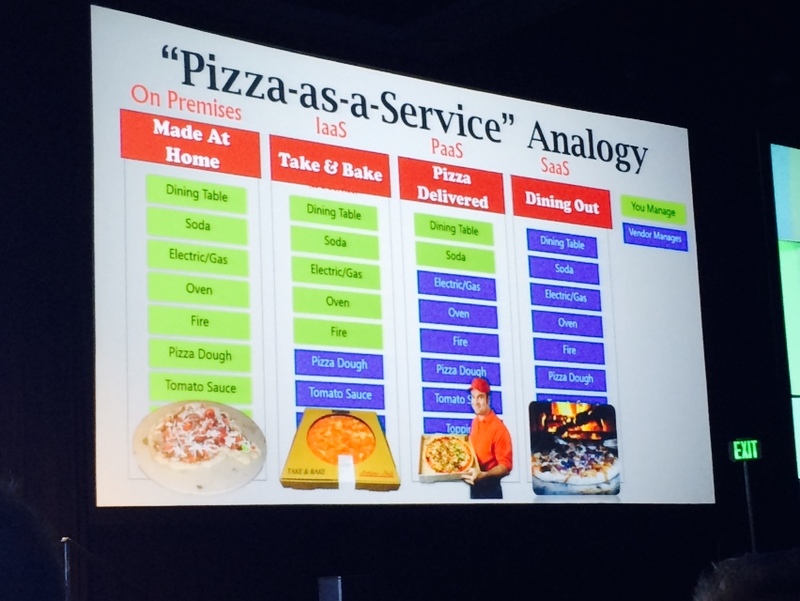 Analytics as a Service, Object Store. Why Virtualization : Put under-utilized resources in use. With a drawback that direct access to resources will be lost. Multi Tenancy : 4 common approaches. Private OS,Private Process/DB, Private Schema,Shared Schema. The concept is each account as 1 or more servers, each server has one or more databases, each database has one or more objects. Everything designed with HA in mind. Layers of abstraction : Client layer, services layer,platform later, infra layer. Last but not least Rimma talked about the role of DBA for Cloud. Rimma wrapped up Cloud 101 talk by requesting Dr.Dewitt to join her on stage, and there was a standing ovation by the crowd. We #SQLFamily is expecting Rimma to be back next year to give a more in-depth talk on Cloud and we are looking forward to it. Thanks for reading, and keep watching this space for more ! 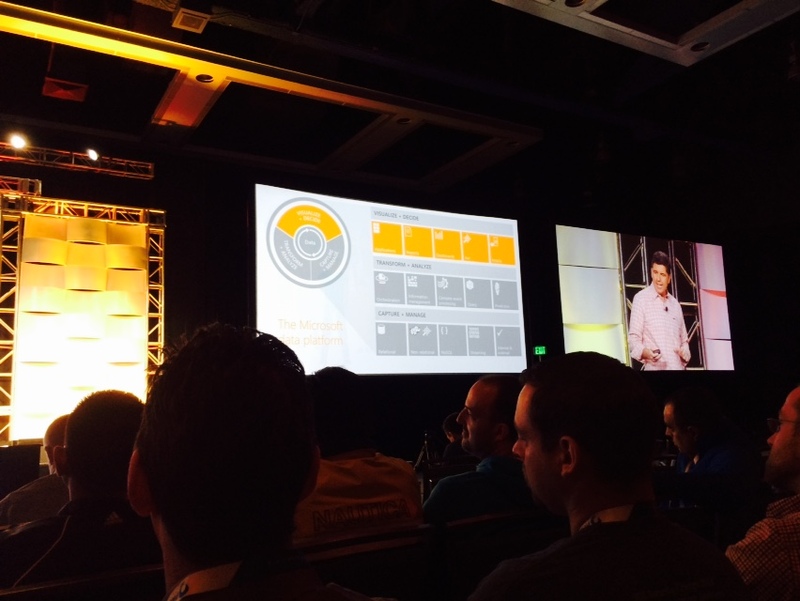 #SQLPASS #Summit14 Day 1 Keynote Highlights ! PASS President Thomas LaRock on stage ! PASS President Thomas LaRock kicked off the summit keynote. 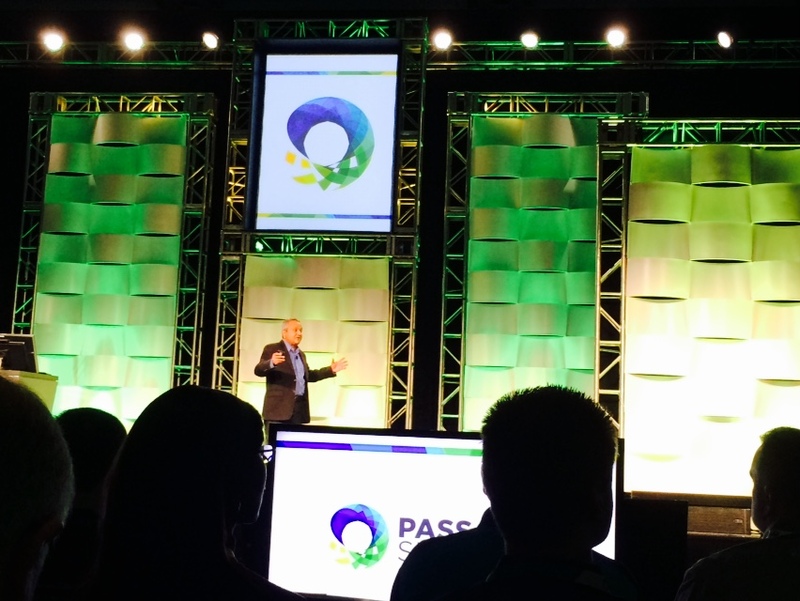 Tom talked about the history of PASS and its growth curve. Positive numbers all over the place ! One of the key things to note is that PASS has delivered 1.3 million hours of training which is pretty impressive. Next up was Microsoft Corp Vice President TK Ranga Rengarajan talking about Evolving Microsoft Data Platform. Ranga talked about the explosion of data/data sources and its positive trend.He stressed on the evolving Data culture and how data professionals can lead this change.Microsoft data platform is capable enough to manage all the data requirements. Ranga Rengarajan on stage ! AzureDocDB, AzureHD Insight, Analytics Platform System, Azure Search. Pier 1 gave another demo of their Promotions app/page which uses AzureDoc DB. They also achieve scaling using SQLDatabase sharding capabilities. Pier 1 is also leveraging Geo Replication for its premium SQLAzure Database. SQL2014 with Win 2012 R2, SQLServer in Azure VM’s, Azure SQLDatabase. 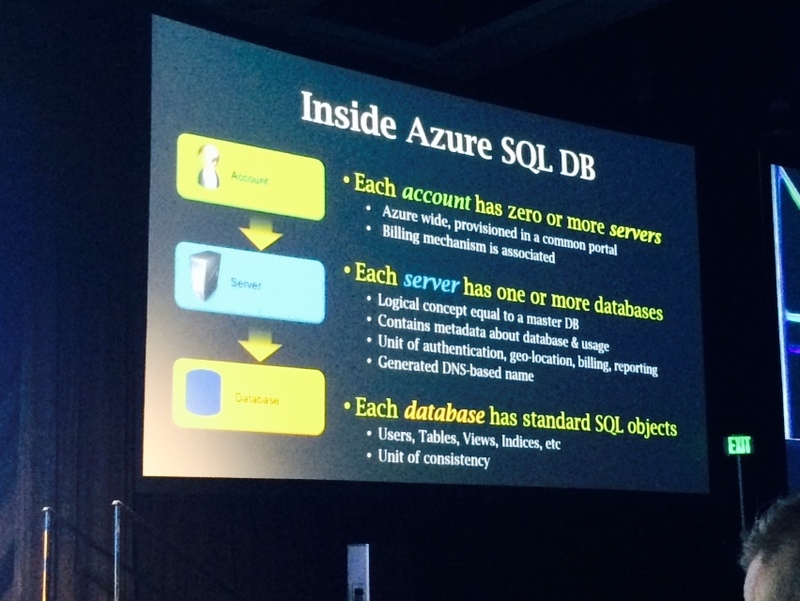 Hybrid scenarios with SQL2014, Azure as a data lake. Ranga also talked about various businesses which are leveraging SQLServer to achieve their data/scaling requirements. 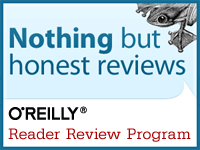 1.2 Million downloads of SQL2014. 1M Azure SQL DB’s deployed. Azure SQL Database Major update : Leap in TSQL compatibility, Larger index handling, Parallel queries, Extended events, In memory Col Store. 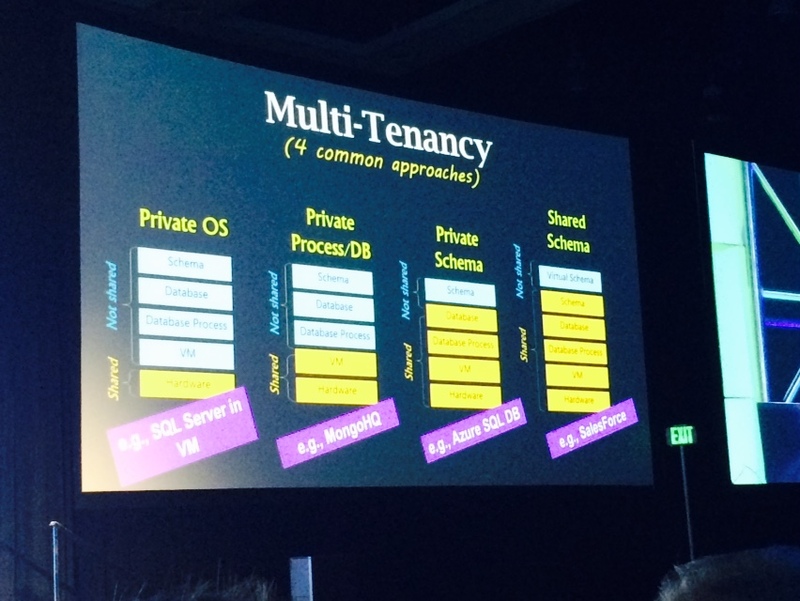 Pier1 Demo was focused on In memory OLTP/ Col store on Azure SQLDatabase. 13,000 transactions/second were fired up and at the same time a reporting workload was ran and performance was awesome . 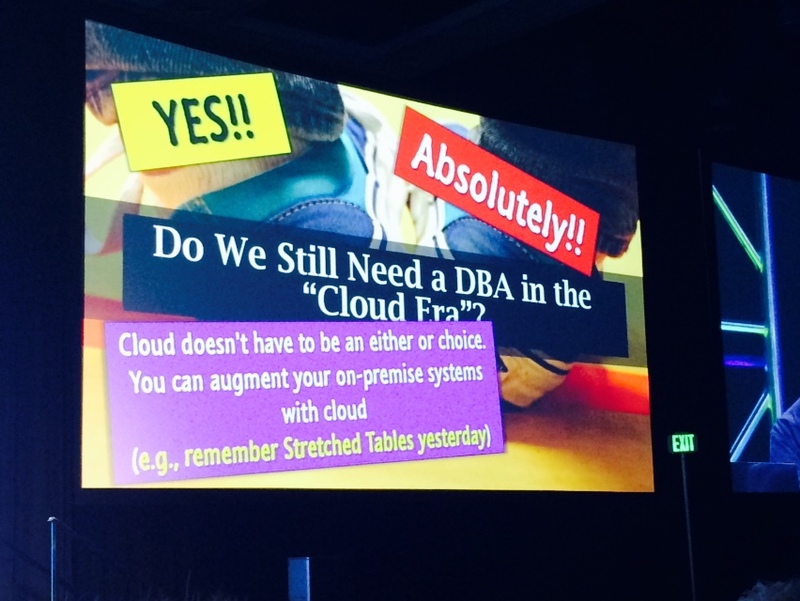 They also demonstrated the ability to stretch On Premises database to the cloud. Next up was Joseph Sirosh, Microsoft CVP Machine Learning & Information Management. Joseph talked about Azure Machine learning and other capabilities. Joseph making sure the crowd is engaged ! 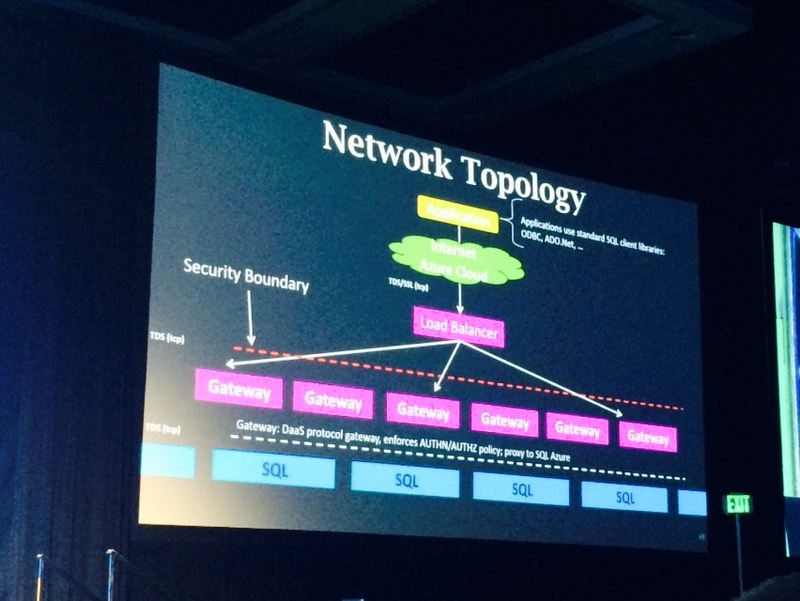 to azure and data is analyzed real-time. shopping trend/taste data is checked from Azure and results are shown. James talked about bringing insights to more people – faster. James talking about Power BI and Machine Learning ! James gave a cool demo of PowerBI Dashboard. 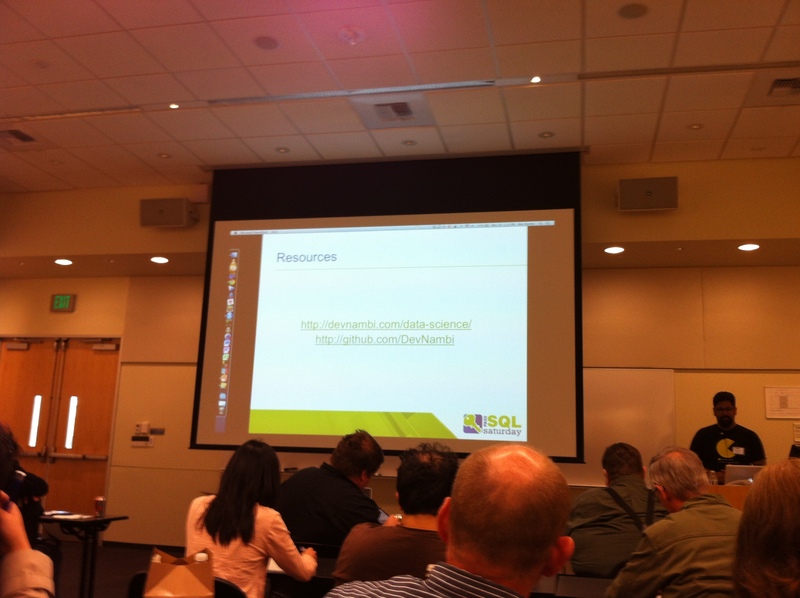 SQLSaturday Redmond(SQLSat212) – A quick recap ! That was indeed a great day at Redmond. I had a great time talking to some of the best SQLServer minds and learned something new. It all started with a wonderful keynote by Buck Woody(B/T),and he delivered quite an interesting talk on SQLServer history. A journey way back from 1989 to 2012. The first session which I attended was AlwaysOn – Finally, A usable ‘mirror’! by Jim Murphy(B/T). This was a beginner level session and Jim delivered it really well. I/m sure anyone who is new to Always ON AGs had lot of takeaways from this session. Jim spoke quite a lot about VNN – Availability Group listener and gave some good demos on how flexible Always ON AGs fail-over is. Attending the 2nd session was really a challenge for me. There were 3 sessions happening at the same time and all 3 were interesting to me. This is when things gets really tricky. Finally I decided to attend the session Being the DBA of the future – a world of on-premise and cloud by Dandy Weyn as I’m focusing on a lot of things related to cloud these days, and eventually will move lot of things to the cloud. This was an intermediate level session and I had lot of take away’s from this session. Dandy was a great speaker and he gave some cool demos by setting up a virtual machine in Windows Azure platform and showed some real networking concepts to connect that VM to your domain. This was something which I was really looking for. After a yummy lunch(Yep, SQLSaturday offers great food too) I was all set for the big one. This was one session I was eagerly waiting for, Machine Learning for Mere Mortals by Dev Nambi (B/T). The session was super exciting and everything was new to me for this one. Machine learning is all about building predictive models from available data. Dev gave multiple real life examples and gave some good demos explaining the concept from a high level perspective. Lot of learning for me and I’m looking forward to read/explore more on this. 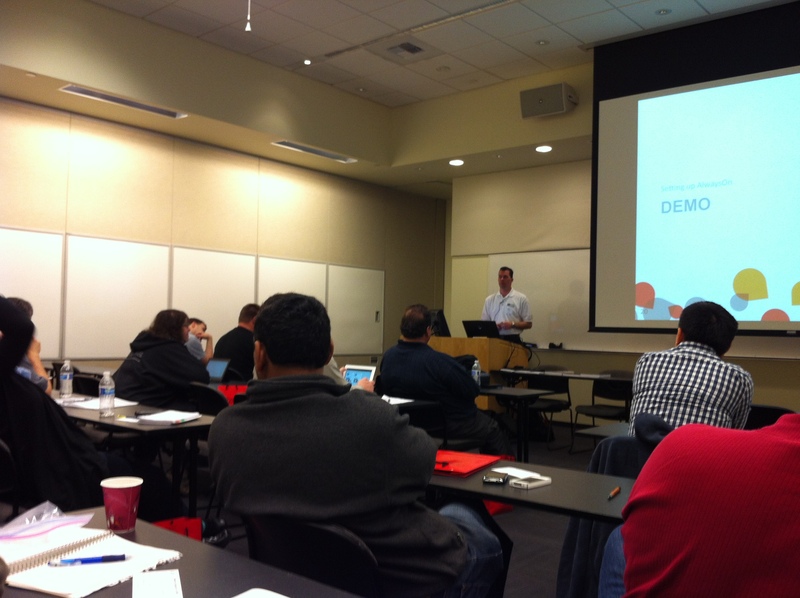 Next up was Windows Azure SQL Database – your cloud database by Scott Klein . 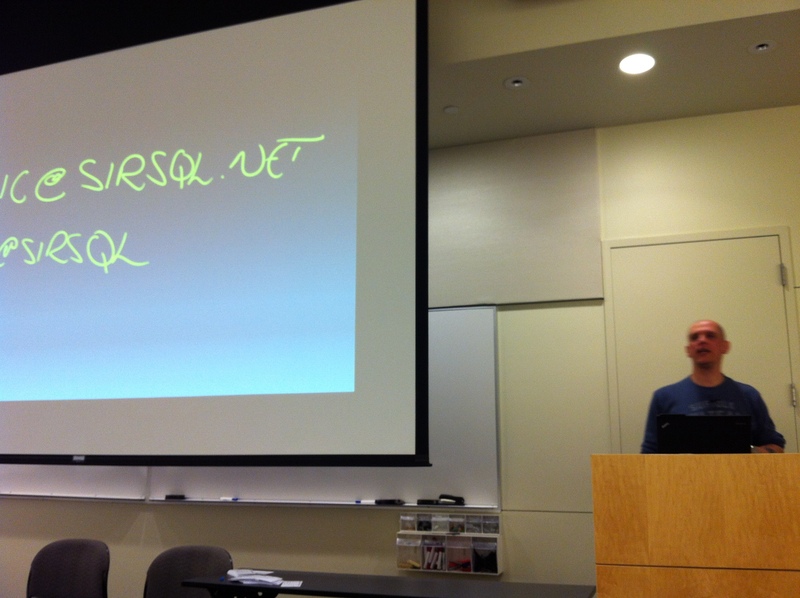 This was a Windows Azure SQL Database 101 talk and Scott was a real good speaker. There were couple of good demos explaining the whole SQLDatabase concepts and he was kind enough to answer my multiple questions offline via an email after the event. The final session for the day was like icing on the cake. I have no words to describe how useful was the session Why I Won’t Be Hiring You by Nicholas Cain(B/T). 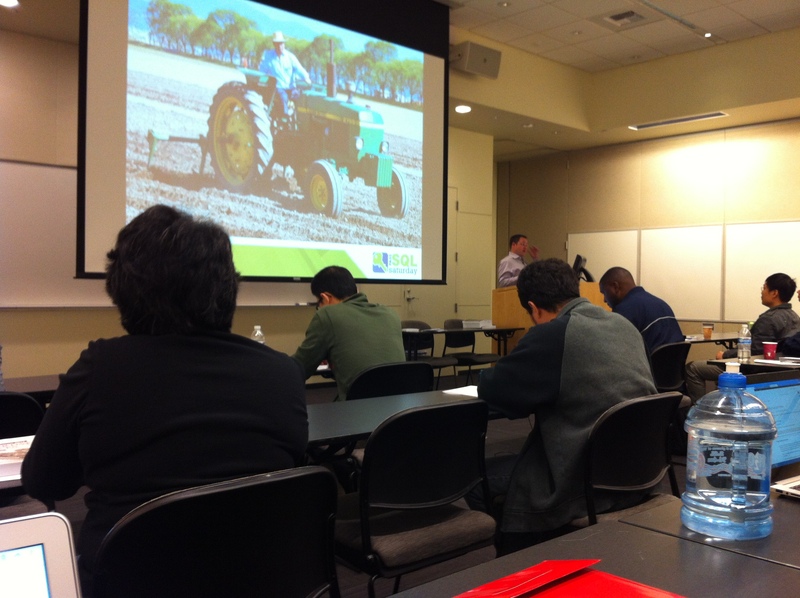 The session was all about how good you need to present your resume to a recruiter. The session was really interactive and there were lot of great questions. Nicholas is a super nice speaker and he really knows what he is talking about. Kudos to him ! I had a great time meeting and talking to wonderful #SQLFamily members and my first SQLSaturday experience was indeed memorable. 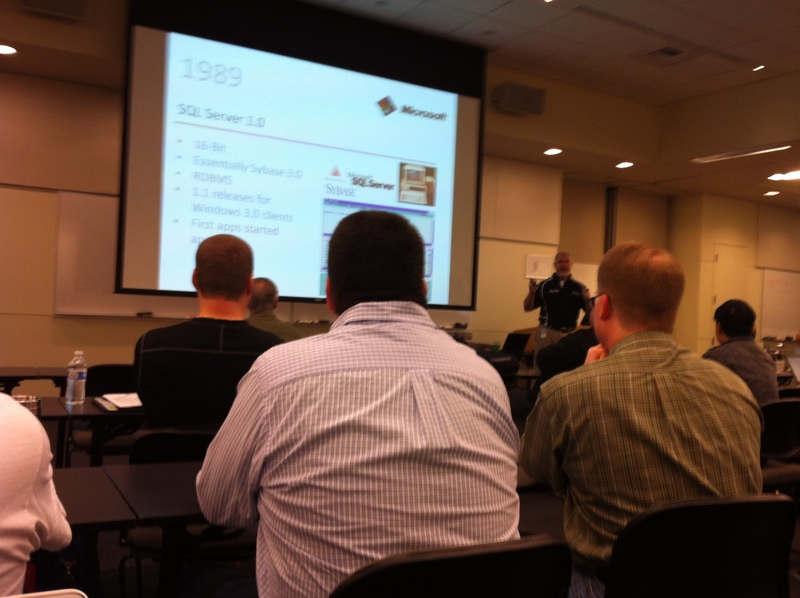 SQLSaturday Redmond(SQLSat212) is almost here…Will you be there? This is my first SQLSaturday and I’m super excited to attend this event. SQLSaturday’s are always a great opportunity to learn something exciting, and shake hands with those people who are really passionate about SQLServer. SQLSat212 has got some good sessions and I’m looking forward to have a great time out there. I’m sure SQLSat212 keynote will be interesting as its been delivered by none other than Buck Woody(B/T). There are a lot of cool sessions lined up for the event and you can get the complete list here. I’m really looking forward to meet and say a big hello to the lovely #SQLFamily members. I will be writing about my first SQLSaturday experience after the event and will be posting whole lot of pictures. 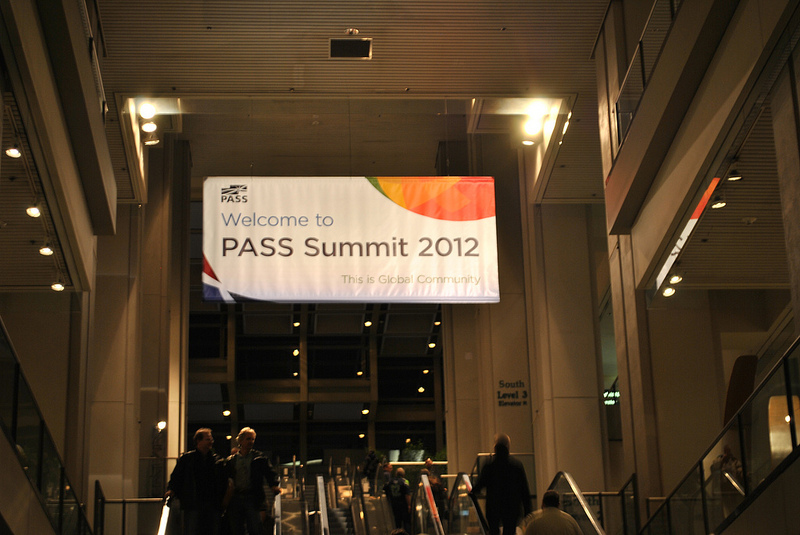 PASS Summit 2012 News – Check- in Experience! Registration and Check in for PASS Summit 2012 was opened yesterday (Nov 4th), and I decided to utilize this opportunity and check-in little earlier than the first day of the conference (Nov 7th). A great benefit of completing this well before the conference day is I can avoid checking in during the busy conference day morning. I can spend more time meeting and talking to my friends whom I’m eager to meet. Yes, I mean it! Really excited to meet you all and make friends for a life time! 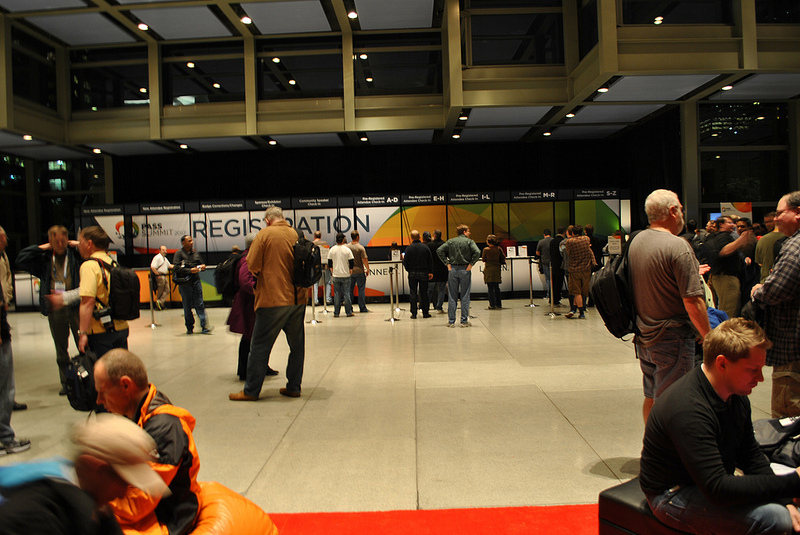 I reached Washington State Convention Center with my wife Deepthi by around 5.15 PM, and we were happy to see PASS Summit 2012 posters/banners guiding us to the exact location where the registration/check-in was happening. No confusion what so ever! There was already a decent queue when I reached the check-in area, and I could see happy faces all around me. Everyone looked really charged and excited about PASS Summit. I’m new to PASS Summit and was super excited to check-in for the greatest SQLServer event in the world. I had to stand in queue for like 5 minutes and finally when my turn came, the lady who was responsible for check-in happily inquired my details and handed over me the PASS Summit 2012 kit. Thats it ! All set to attend PASS 2012 Summit and have a great time learning new things and meeting friends. Connecting with people is the most important part of this conference and I’m really looking forward for this. There are 2 very important events occurring tomorrow, one is First-Timers Orientation Meeting between 5.15 PM – 6.30 PM PST and PASS Summit 2012 Welcome Reception between 6.30 PM – 8.00 PM PST.I will be attending both the events and will write a detailed blog post with lot of photos. Check out my flicker stream for all the PASS Summit 2012 photos,I will keep updating this stream during the next few days.